Types of Window Panes for the perfect finishing! When you decide to get new windows for your house you will be spoilt for choice. 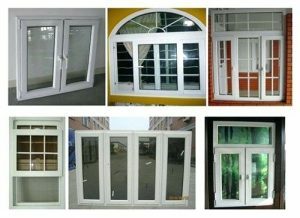 There are vinyl, aluminum, sliding or casement windows, argon gas fill, triple pane or double glazing units, etc. 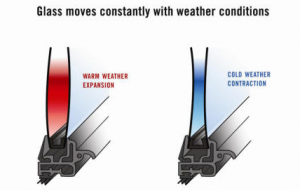 Windows Brampton understands that it must be tough to decide which type will provide the most functional thermal efficiency, so they have information for you on, single, double and triple panes for your windows so that you can find your best fit. Windows can have single, double or triple panes. Single ones have only one glass panel, the double ones have two with a little space between them, and the triple ones have three panels of glass with two spaces in between. They all have their own utilities and are widely used by many homeowners. 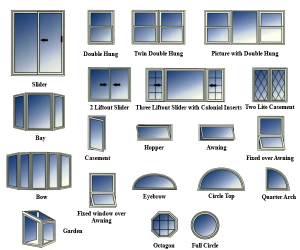 Windows Brampton can supply you with all the three variants. Single paned windows have gone a little out of use as they do not exactly offer a lot of utilities. They are not very durable or energy efficient nor is it very safe. Blocking noise or seasonal temperatures are not its features. Moisture or air leaks happen more often and as they have two surfaces, glazing technologies and coatings don’t have much to offer to them. Windows Brampton suggests that choosing the double paned ones is a better option. Here is why; they are the most commonly used of the three and also make use of the most easily available glass type. They have everything that the single ones lack, durability, technology, and insulation. They have four surfaces, so the coating and glazing options are wider. Colored tints, low E windows and transition technology are things you can opt for with these windows. For the space between the panes there are gas fills like argon, xenon and krypton that you can choose from. These windows will help you save on cost on energy, as the said features come together to give the most efficient service. The triple paned windows are the best of them all according to windows Brampton. First of there are a lot of glazing options. As there are three glass panes and six surfaces, with two spaces in between it leaves a lot of space for exploring. You will get better soundproofing, better condensation control, better security and even insulation. Even the interiors of these windows are not affected by the outside temperature, the window are not hot to touch nor cold. The only problem however is its cost. Many homeowners also find an extra pane unnecessary. But even with all the expenses it does not save on energy. According to windows Brampton, homes on climate zones that are the coldest benefit the most from these windows. You might want to sit down with a professional to discuss glazing options. You will be made aware of the technologies and options. There are so many things to know about, like spacers, style, materials, number of panels, inert gases etc. So contact a professional.